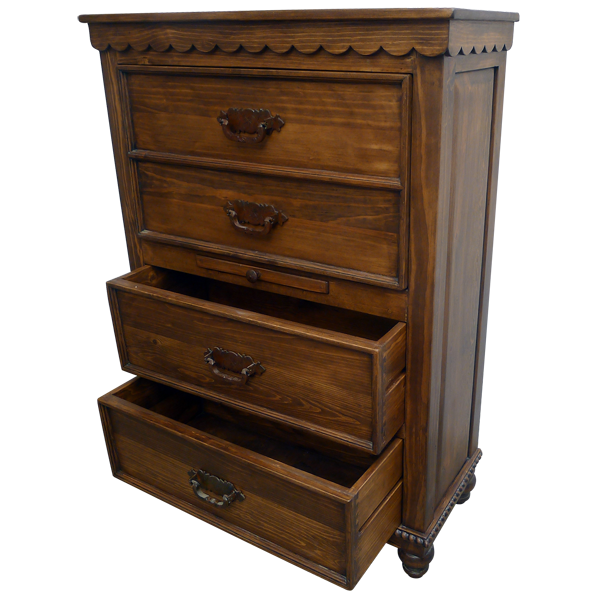 This handcrafted end table features four, spacious, solid wood drawers with hand forged, iron handles. The hand forged, iron handles are made in our factory by our skilled craftsmen. 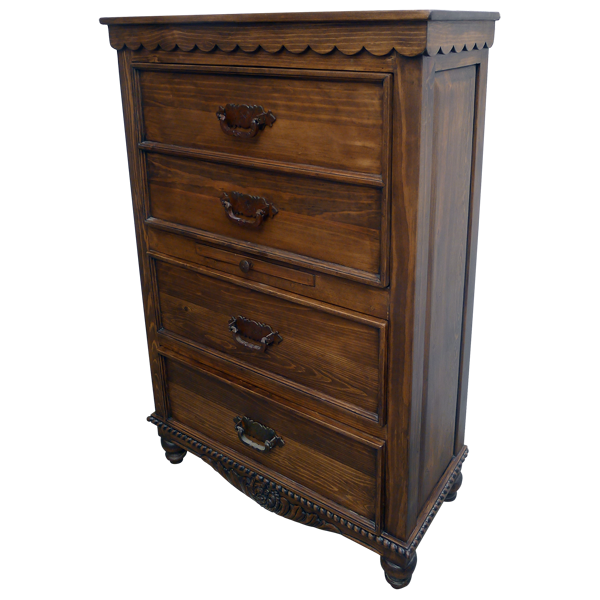 Directly below the beautifully, stained top of the end table are Spanish colonial style, hand carved, scalloped designs. 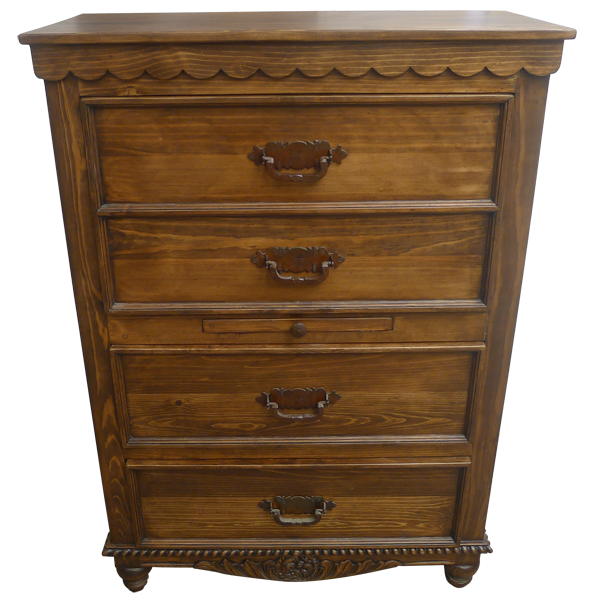 The bottom molding of the end table is adorned with hand carved, rope twist designs, and beneath the molding are hand carved, floral designs. The end table is supported by hand turned, wood feet. Made with the best, sustainable, solid wood available, this custom furniture is 100% customizable.